WASHINGTON — A powerful, bipartisan pair of lawmakers introduced new legislation Tuesday that would give the government more power to make sure drug companies play by the rules of the Medicaid program. It’s the first sign of how the duo, Sens. Chuck Grassley (R-Iowa) and Ron Wyden (D-Ore.) intends to use their respective perches at the Senate Finance Committee to lower drug prices. Grassley will chair the committee beginning in January, and Wyden is already its top Democrat. The committee has jurisdiction over Medicare and Medicaid, including oversight of most of the Trump administration’s work to date on the issue of drug prices. The bill itself was motivated by allegations that the drug company Mylan misclassified its signature epinephrine auto-injector, EpiPen, under the Medicaid program, which resulted in taxpayers spending more money than they should have whenever a Medicaid recipient purchased the product. In August, Mylan settled the allegations for $465 million with the Department of Justice. But taxpayers likely lost out on much more than $465 million because of Mylan’s behavior, according to an analysis by the Office of Inspector General of the Department of Health and Human Services conducted at Grassley’s request. In May 2017, that office estimated taxpayers lost at least $1.27 billion. Grassley and Wyden’s new bill would give HHS more power to recoup the full amount lost if companies misclassify their drugs in the future. And it would give HHS the ability to directly modify a drug’s classification — something that, right now, HHS cannot do. In a press release, Grassley and Wyden heralded the bill as a significant step toward saving money for patients. 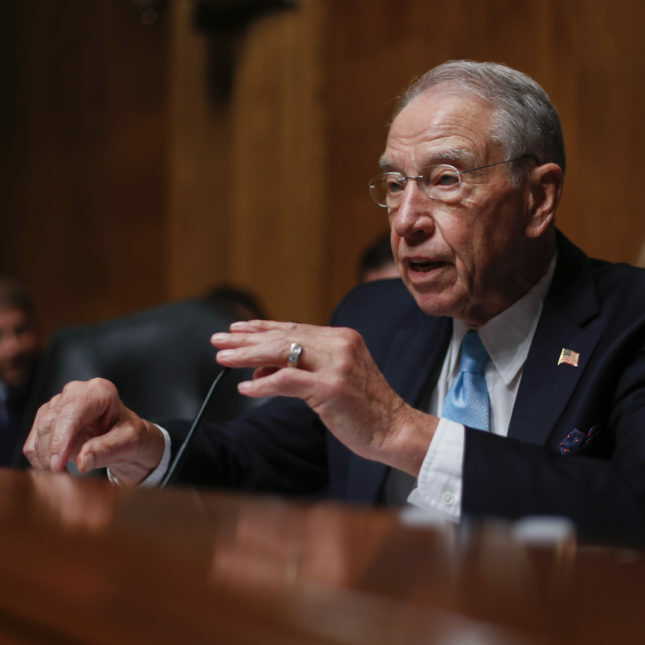 “Misclassification of prescription drugs hurts millions of Americans whose lives depend on those medications, such as EpiPen, but can’t afford them due to unnecessarily exorbitant pricing,” Grassley said in the press release. “While families struggle to afford medicines like EpiPen, drug makers are busy manipulating the system to squeeze taxpayers even more,” Wyden said in the press release. But it’s unclear how big of a problem these supposed misclassifications actually are. In December 2017, OIG HHS released a report saying that the government may have lost over $1 billion from 2012 to 2014 from hundreds of different potentially misclassified drugs. But many of those companies told STAT that their drugs were indeed correctly classified, and attorneys said that it was merely vagaries in the laws and regulations that could lead people to believe otherwise. A STAT analysis of government data, using a methodology similar to the inspector general’s, found that in 2016 EpiPen accounted for far more Medicaid spending than all of other drugs that were potentially misclassified combined, which raises doubts about the argument that many drug makers are “manipulating” the system to bilk the taxpayer.